Samsung too big to kill, Kyung Nam Pharm weak enough to kill? Shareholders have been expressing anger and frustration, arguing that it was unfair for the Korea Exchange (KRX) to delist Kyung Nam Pharm for a 40 million won ($38,000) fine on charges of fraudulent accounting, while industry giant Samsung BioLogics avoided delisting after being slapped with an 8 billion won fine for the same infraction. 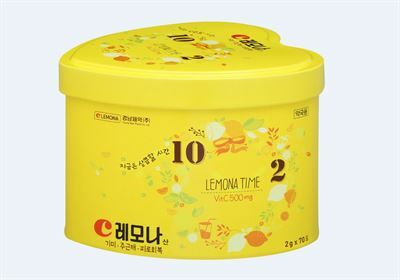 People who hold shares of Kyung Nam Pharm are furious over the domestic bourse operator's plan to delist the mid-tier pharmaceutical company, widely known for its vitamin supplement Lemona. Kyung Nam has not made a statement over the decision as of Sunday, fueling the controversy further. The KRX said Friday its corporate review committee decided to delist Kyung Nam from the tech-heavy Kosdaq market, citing transparency problems in the company's management. Following the decision, the bourse operator will hold a Kosdaq Market Committee meeting by Jan. 8, which will make the final call over whether to kick out Kyung Nam or give it a chance to prove its transparency. Should the company face delisting, individual shareholders will likely suffer huge damages. As of September, 5,252 minor shareholders have 8 million shares in the company. Given its price before suspension, they will likely lose 139 billion won. The KRX has been trying to regulate Kyung Nam because the company has been problematic in counting its sales and in other accounting documents, while having a serious internal battle over management control. Its stocks have been suspended from trading since March, after the company was slapped with a 40 million won penalty for accounting fraud in February. Following the suspension, the Corporate Review Committee gave the firm six months to improve its transparency, but decided to delist it saying "its efforts to improve were not enough." However, investors are crying foul over the KRX move, comparing it to Samsung BioLogics, to which the review committee granted leniency though it was also cited for accounting fraud. "Though Samsung BioLogics faced 8 billion won in fines for a 4.5 trillion won accounting fraud, it is still trading, while Kyung Nam will be delisted for a 40 million won fine. Isn't this unfair?" a posting on Cheong Wa Dae's public petition website read. Earlier this month, the country's financial regulator ruled that the Samsung unit intentionally violated accounting rules ahead of its initial public offering in 2016, but the committee allowed it to remain listed saying "despite some shortcomings regarding its managerial transparency, the committee decided to maintain its listing, factoring in corporate sustainability and financial stability." Another petitioner wrote that Kyung Nam has small problems compared to Samsung BioLogics, and the authority tends to delist small- and medium-sized enterprises too easily whenever they are found to have shortcomings. Along with the Cheong Wa Dae petition website, the company has been on domestic web portal sites' top search rankings throughout weekend, a rare event for a company of Kyung Nam's size. Despite the growing public interest, the drug maker is yet to make an announcement on the delisting, while its website is closed due to surged web traffic.